Osaka is located about 2 and a half hours train journey from Tokyo and is famous as the home of the Yakuza. The Japanese mafia. These gangsters are supposed to be able to be spotted by their lack of little fingertips, which are ceremoniously cut off as a sign of respect and loyalty to their bosses. One of the more unusual places to see in Osaka is Festival Gate, which is a shopping complex with an amusement park wrapped around the inside. This contains a variety of shops and amusement rides, such as roller coasters. Osaka also has one of the most beautiful buildings I have ever seen. 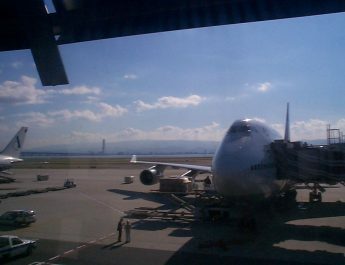 Kansai International airport. This is a new airport built off shore in the Osaka Bay area, built on a man made island. The island has a single runway and the terminal building which is the largest one roomed building in the world. The island also contains a hotel, shops and a train and ferry terminal. A truely awesome building and a brilliant way to enter Japan. As well as the airport but closer to the center of the city, there is a 103 metre tower which is called “Tsu Ten Kaku” which was 600 yen to go to the observation lounge near the top of the tower in 1998. From here you can see most of the city but this view is best enjoyed at dusk as you get the near daylight view and the bright lights view of the night time in Osaka. Also in Osaka is the newly opened Universal Studios Japan. I managed to get tickets whilst I was in Japan last time, there is a waiting list for tickets and you can´t just turn up on the day and expect to get in because this is a new attraction and very popular. It has some very good rides, although as its in Japan all the actors speak in Japanese. Never though I’d see Kurt Russell speaking Japanese on the Backdraft ride. 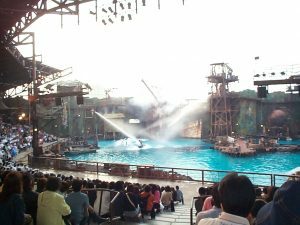 There are lots of other good rides and shows, such as Water World and Jurassic Park although most are copies of the Universal experience in the USA. 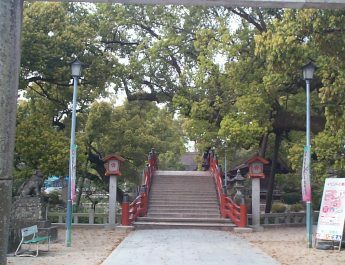 Osaka also has its own castle built in the traditional Japanese style in 1583 by Toyotomi Hideyoshi and used as his headqauters until his death. After his death the castle was captured by the Tokugawan army and damaged but restored in 1868, part of the castle was further damaged and this was rebuilt in 1931. The castle underwent a complete restoration in 1997. Its beautiful and well worth a visit. 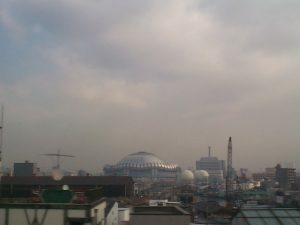 The rest of the city in a sentence, shopping then try the Kita area of the city which is close to the main JR Rail station, Tennoji is where both the old and new Osaka can be seen, Minami is the youth culture and food center of the city and the bay area has many of the tourist sites as well as futuristic buildings.